12.63mm x 15.35mm / 0.497in. x 0.604in. 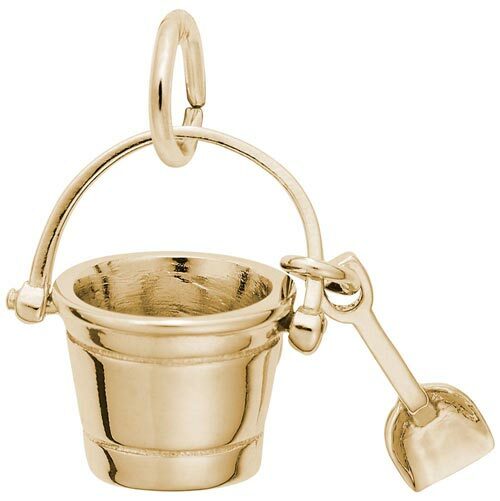 3 Dimensional Pail and Shovel Charm. The shovel charm is attached to the handle.